We can construct maps showing the estimated positions of the continents for any time back to about 500 million years ago using software which models the motion of the Earth's tectonic plates. Maps can be generated with small time intervals to produce smooth animations showing the world as a flat map or a globe, or focused in on a local area. 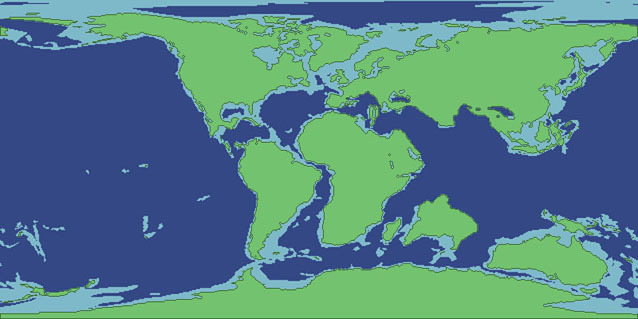 Source data: ATLAS paleogeographical reconstruction software.